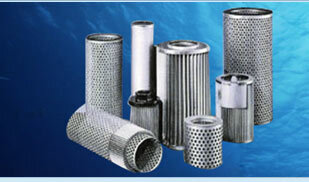 SS Filters is a technology oriented company specialized in micro filtration of fluids and its handling equipment. We are leading manufacturers and suppliers of filter housings, filter cartridges, filter pads & bags, different types of filter media and filter systems for use in laboratory & industrial applications. Since last 30 years the company caters to the needs of several industries including pharmaceuticals, chemicals, food industries, Dyes, perfumes, paints & printing inks, petrochemical & fertilizers, laboratory filters etc. Our goal is to provide products & services that furnish value for our customers by meeting all their requirements and expectations. 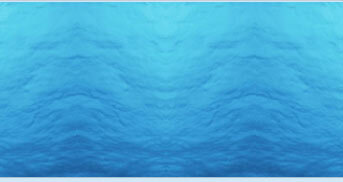 Complementary to the standard products, we offer a versatile and flexible filter development and production capability. This unique capability was developed to fulfill the needs of relatively large volume and highly varied product requirements of the customer. The flexible approach makes it possible to develop new products and separation devices to improve filtration processes. 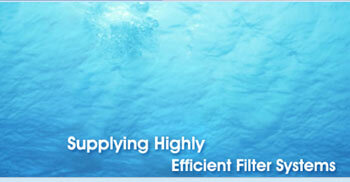 SS Filters Pvt Ltd is a ISO certified company & SSI unit. We have in house facilities to manufacture filter housing, Plastic component development, depth filter products and above all expertise in special filter development. Frequently compare our products with competing brands. Develop easy to use innovative products. We are constantly working on improvements and welcome suggestions from our customers because our customers are The priority. We shall share our experiences to assist you to overcome problems in general filter product usage as well as suggest best solutions for your filtration needs. Centrifuge filters, horizontals filter discs & bags, filter cartridges are amongst the various filters used in pharmaceutical industries. After distillation, perfume are filtered using special filter paper to retain its fragrance, colour & odour. Low extractable membrane filtration disc s are used n HPLC procedure Quantity grade of filter papers used for various Laboratory techniques. WVO. Filter bags and cartridges are used for the same. Biodiesel is manufactured from vegetable oil and other similar products. Aluminum filter bag housing and filter bags are an effective final filter for this product. Cement, asphalt, wood products, utility plants, and many other industries, use dust collection bags, air filter bags and cartridges to control airborne contaminants. Drinking, process, waste, cooling tower, reverse osmosis, D.I. water, bottled water, part cleaners etc can be filtered using our different types of filter cartridges. Water based machine tool coolants are among the best applications for filter bag housings & filter bags. Water and solvent based coatings, printing ink & paper coatings use standard and mini size cartridges and capsules. Liquid sugar, food flavorings, candies, syrups, honey, fruit juices, beer, citrus products, salsa, soft drinks, milk & starches are filtered using different grades of filter pads and cartridges. Acids, latex solutions, plastisols, solvents, cleaning fluids, pigments, dyestuffs, aerosol products, foam & polymer solutions in addition to many more chemicals are filtered using different filter media according to its compatibility. Gasoline, amines, glycols, oil drilling & injection fluids, oil recovery & many refinery applications use different filter cartridges and filter bags. Lotions, liquid detergents, paper coatings, fabric coatings, soap, waxes, perfumes & cosmetics prefer filter pads as filtration media. Hydraulic, waste, transformer, cooking, crude, vegetable, olive, palm, lube & oil blending processes use filter pads, filter bags and cartridges. Filtration removes fruit debris, yeasts and bacteria from the wine, this not only renders the wine instantly clear, it also makes the wine more stable.